Libby Larsen (b. 24 December 1950, Wilmington, Delaware) is one of America’s most performed living composers. She has created a catalogue of over 500 works spanning virtually every genre from intimate vocal and chamber music to massive orchestral works and more than 15 operas. Libby is a Grammy Award-winner and is widely recorded, with more than 50 CDs of her work; she is sought after for commissions and premieres by major artists, ensembles, and orchestras around the world, and has established a permanent place for her works in the concert repertory. As a vigorous, articulate advocate for the music and musicians of our time, in 1973 Libby co-founded the Minnesota Composers Forum, now the American Composer’s Forum, which has become an invaluable aid for composers during a transitional time for American arts. 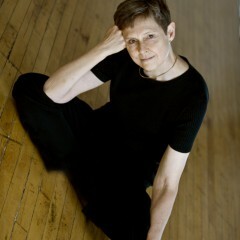 A former holder of the Papamarkou Chair at John W. Kluge Center of the Library of Congress, Libby also has held residencies with the Minnesota Orchestra, the Charlotte Symphony, and the Colorado Symphony. 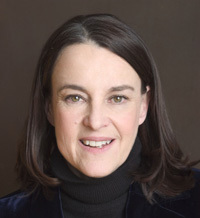 For more information about Libby Larsen, visit her website. Carol Barnett’s music has been called audacious and engaging. Her varied catalog includes works for solo voice, piano, chorus, diverse chamber ensembles, orchestra, and wind ensemble. She was awarded the 2003 Nancy Van de Vate International Prize for Opera for her chamber opera, Snow, and Meeting at Seneca Falls was featured at the 2006 Diversity Festival in Red Wing, Minnesota. The World Beloved: A Bluegrass Mass, commissioned in 2006 by VocalEssence and written with Marisha Chamberlain, had its Carnegie Hall debut in February 2013 and has become a favorite across the country. Recent works include March to Glory: ”Draw Me Nearer,” for the American Guild of Organists 2014 convention; Near Odessa, for Bella Voce and Jennifer Tibben; Coy Pond Suite, for the Gordon College Big Band, and Hyfrydol Meditations, for Westminster Presbyterian Church, Minneapolis. Other commissions include works for the Minnesota Orchestra, St. Paul Chamber Orchestra, Harvard Glee Club, Minnesota Music Teachers Association, and Children’s Theatre of Minneapolis. She has received grants from the Jerome Foundation, Camargo Foundation, Inter-University Research Committee on Cyprus, and McKnight Foundation. A longtime presence on the Minnesota music scene, Carol is a charter member of the American Composers Forum and a graduate of the University of Minnesota, where she studied composition with Dominick Argento and Paul Fetler, piano with Bernard Weiser, and flute with Emil J. Niosi. She was composer-in-residence with the Dale Warland Singers from 1992 to 2001, and currently teaches at Augsburg College in Minneapolis. For more information about Carol Barnett, visit her website. J. David Moore (b. 1962) has been in love with a cappella singing and the romance of word and melody ever since high school. Since then, he has written over two hundred arrangements of vocal jazz, spirituals, barbershop quartet, Celtic mouth music, Civil Rights marching songs, early American hymn tunes, 16th-century madrigals, and folk music in Ukrainian, Gaelic, Austrian, Brazilian Portuguese, French, and Latin. His own compositions are shaped by his voracious appetite for music of every era and style. He has written art song, oratorios, music for percussion ensemble, string quartet, wind ensemble, baroque orchestra, and tuned wine glasses. He has written music for worship, dance, and the stage, including the outdoor spectacle Solstice River, created by choreographer Marylee Hardenbergh, which has been performed on the Stone Arch Bridge in Minneapolis every summer since 1997. His recent projects explore music for lute quartet, the poetry of Sylvia Plath, raucous British drinking songs, and the singing meditations of the Taize Community. 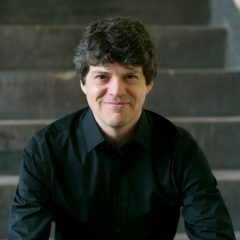 David has won numerous grants, awards, and residencies from many organizations such as ASCAP, the Jerome Foundation, the McKnight Foundation, and the American Composers Forum. He has twice been awarded the Forum’s Faith Partners residency, during which he collaborated with consortia of congregations in the creation of 12 liturgical works. He has been commissioned by organizations such as The Rose Ensemble, The Alchemy Project, The Arizona Master Chorale, The Choral Arts Ensemble of Rochester, The Minnesota Opera (for which he wrote a 20-minute opera about alien invasion with a group of fourth-graders), MUSE Women’s Choir, The Sapphire Chamber Consort, Shawn Womack Dance Projects, The South Bend Chamber Singers, The Venere Lute Quartet, and The Twin Cities Gay Men’s Chorus. In addition to his own company, Fresh Ayre Music, David’s music is published through Boosey & Hawkes, Colla Voce, Earthsongs, Hinshaw, Mark Foster, Music for Percussion, Santa Barbara, Transcontinental Music Publications, and Yelton Rhodes Music. He is currently the Director of Music at Nativity Episcopal Church in Burnsville. For more information about J. David Moore, visit his website. Reviewed as “gorgeous” (Washington Post) and “stunning” (Lawrence Journal-World), the music of Timothy C. Takach is rapidly gaining momentum in the concert world. Applauded for his melodic lines and rich, intriguing harmonies, Takach has received over 80 commissions from numerous organizations including VocalEssence, the St. Olaf Band, Cantus, Pavia Winds, the University of Notre Dame’s DeBartolo Performing Arts Center, The Singers: Minnesota Choral Artists, the Cherry Creek High School Meistersingers, the New Mexico Gay Men’s Chorus and the Miami University Men’s Glee Club. His compositions have been heard on NPR and have been recorded by various groups in North America. Takach has won the Boston Choral Ensemble’s Commission Competition, Rochester Choral Arts Ensemble’s Second Annual Commissioning Contest and was a finalist in the Young New Yorker’s Competition for Young Composers. His music is regularly performed by festival and All-State choirs including Texas, Florida, Minnesota and South Carolina. “What Child is This” was featured on the 2007 Boston Pops holiday tour, “Twas in the Moon of Wintertime” was included in a 2006 worldwide Christmas radio broadcast through the European Broadcasting Union and two of his pieces are included in the series Teaching Music through Performance in Choir. Takach has received grants from the American Composers Forum, Meet the Composer, the Minnesota State Arts Board and the Metropolitan Regional Arts Council, and yearly ASCAP Plus awards since 2004. He is a co-creator of the theatrical production of All is Calm: the Christmas Truce of 1914, by Peter Rothstein. The critically adored show has had over 100 performances since it’s premiere in 2006. Takach studied music composition at St. Olaf College, Northfield, MN, where he graduated with honors. He has frequent work as a presenter, clinician and lecturer for conventions, schools and students across the country. 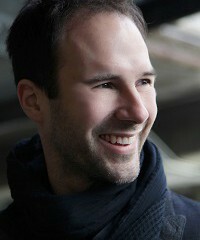 He is a full-time composer and lives in Minneapolis with his wife and two sons. For more information about Timothy C. Takach, visit his website.